This week Bad at Sports Center is joined by Deana Haggag! The newly appointed President and CEO of United States Artists! Deana Haggag is the President & CEO of United States Artists, a national arts funding organization based in Chicago, IL. Before joining USA in February 2017, she was the Executive Director of The Contemporary, a nomadic and non-collecting art museum in Baltimore, MD, for four years. In addition to her leadership roles, Deana lectures extensively, consults on various art initiatives, contributes to cultural publications, and has taught at institutions such as Towson University and Johns Hopkins University. She is on the Advisory Board of Recess and Council of Common Field, and has served as a member of the Affiliates Board for the Museums and Society Program at Johns Hopkins University and StageOne/FANS council at the Baltimore School for the Arts. 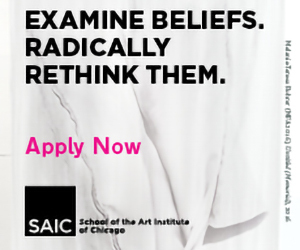 She received her MFA in Curatorial Practice from the Maryland Institute College of Art and a BA from Rutgers University in Art History and Philosophy. 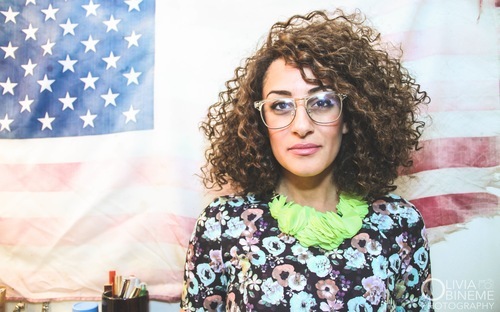 She is proudly a first-generation Egyptian-American Muslim woman of Afro-Arab descent. She currently lives between Chicago and Baltimore.